In the Oil & Gas or Petrochemical industries, increased technical and commercial complexity, coping with commercial, environmental and political cost and risk, provides oil and gas megaprojects with an environment of intense and growing stakeholder scrutiny. This scrutiny highlights that despite increased recognition to the importance of project performance, a high percentage of projects fail to deliver on time or meet approved budgets. Recent research shows that the majority of mega-projects face delays and/or cost escalations and these overruns are prevalent in all segments and geographies of the industry – we must deliver improved performance in the delivery of its capital projects. This interactive, collaboration-driven 5-day training course will highlight the added value that can be achieved when effective control mechanisms are applied using project management-based techniques proven to be crucial in Baseline Management. At an advanced level, we need to consider behavioural awareness towards setting and establishing a positive culture in terms of management and leading people, particularly when dealing with collective or “ripple-effects” of myriad requests from diverse stakeholders. This is where collaboration, stakeholder management, team roles and integration will come to the fore. The Advanced Managing Project Control training course is extremely engaging and participants will be taught using a combination of instruction, facilitated discussion, and hands-on interactive exercises all based on a real-world project example case study related to a current mega-offshore project in the Oil & Gas industry. The exercises will include many individual and group activities presented in a workbook within the training manual - the exercises are designed to provide each participant with a visual application of the principles and practices discussed throughout the course and can become a useful reference tool on their return to the workplace. The aim of this training course is to assist participants in understanding the differences that they can make to any project in relation to their own specific skillset. Record actual project progress and use the project baseline to highlight and manage variance. Communicate project “trade-offs” clearly and set attainable goals with clients, managers, and project team members. The facilitator will introduce each of the core topics using a variety of lecture and discussion. Presentations are supported by interactive exercises representing project controls interaction across different stages of the project life cycle which are based on a real-world project case study. 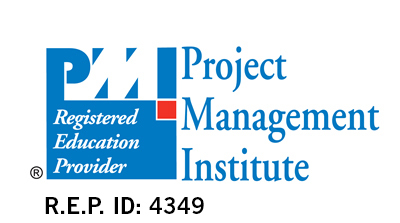 Their will be an introduction to elements of projects and the fundamentals of project management enabling delegates to reflect on how a project management framework supports and how the projects are supported in return by effective control processes. Competency Description: As a leader of Project Controls, you hold a key operational role in the project delivery for your organisation and we aim to provide an understanding of the impact that you can have to ensure full understanding of objectives and requirements are captured and may be delivered. Competency Description: Project Controls personnel provide assurance of requirements captured and establish how they may be delivered. Competency Description: Behavioural management and engagement is extremely important in managing Project Controls in a Collaborative manner but crucial for complex project environments. Competency Description: Project Controls provides a major source of performance monitoring to enable the project manager to deliver as expected. Competency Description: Projects are prone to change and also may need quick reactions if they don’t deliver as expected – the ability to manage this is crucial.